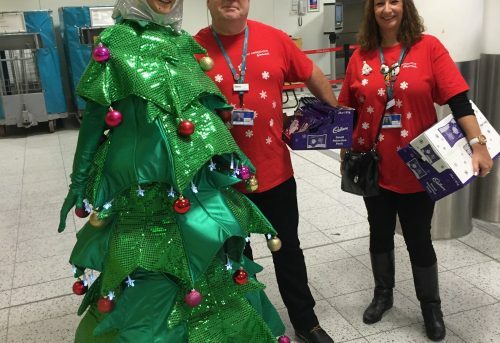 We were asked by Outspoken Projects to provide walkabout entertainment to participate at a Christmas themed event at Gatwick airport on Christmas Eve. 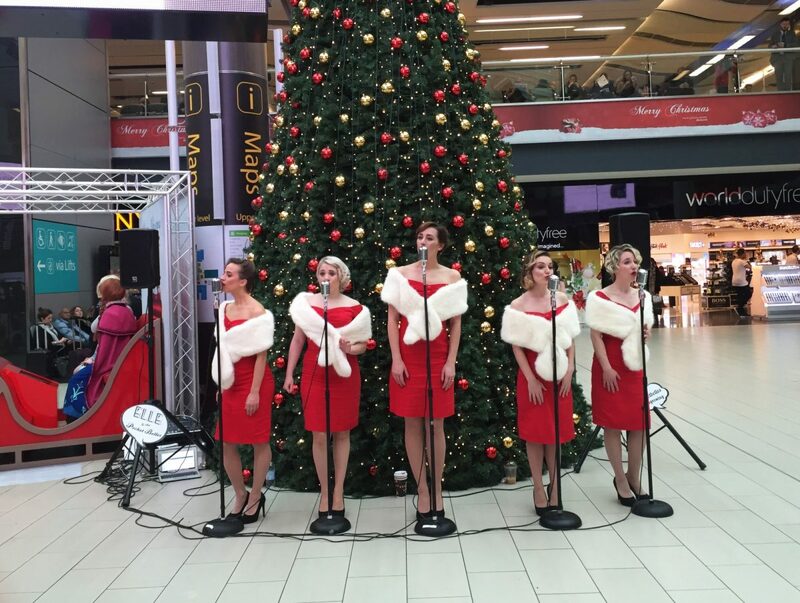 We liaised closely with Outspoken to select a wide variety of family friendly festive acts to suit the occasion. Many of the acts were to be positioned airside and we needed to organise passports and RAMS well in advance because of this. 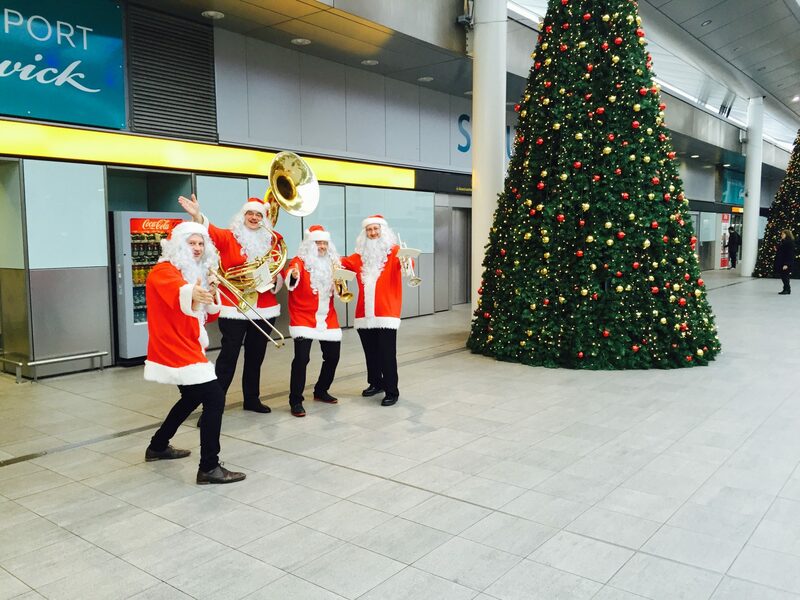 Acts included our Brass Band of Santas, Christmas Vintage Singers, giant walkabout illuminated Christmas Bells, Elves with their Good-o-meter, Ice jugglers, our walkabout comedy Giftbox, Living Christmas Trees, Giant Stars and Candy Canes, our Christmas themed Steel Pan Band, Christmas Dancers and very importantly Santa! 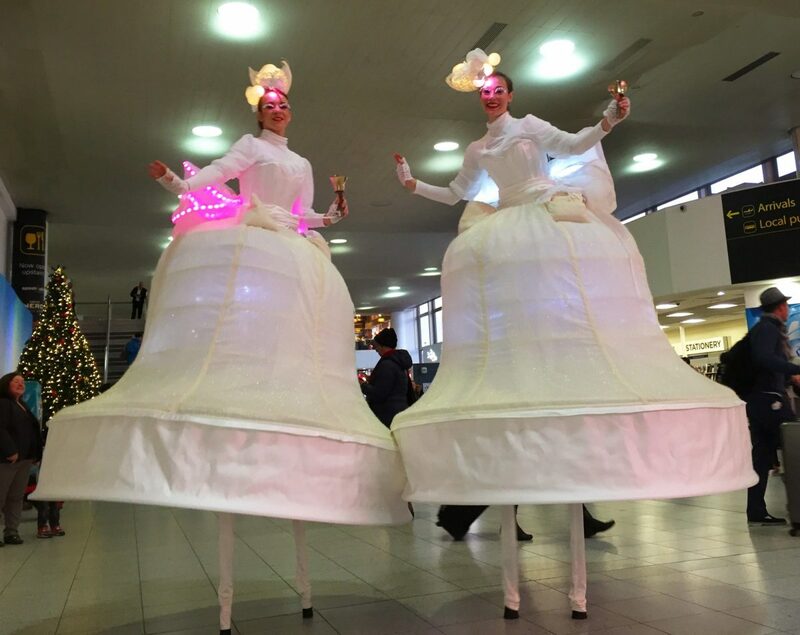 We liaised closely with the client to provide the right combination of acts to make this a very successful event for everyone. 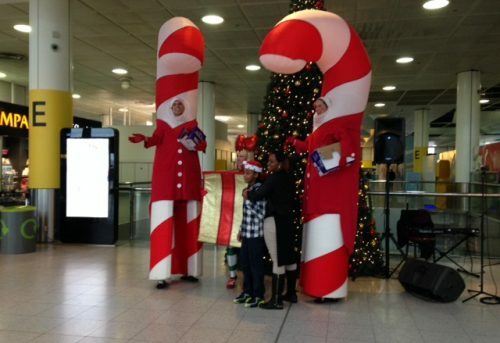 “Thank you to you and all of the performers that worked at Gatwick for the Christmas Eve event. We’ve received great feedback regarding the event and we hope they all enjoyed it too”.